There once was a fairy named Shrinkle-Dinkle. He lived at the end of a long, forest lane with his cousins Whoops and Oops. Shrinkle-Dinkle earned a living for the three selling potions and spells, particularly of the size manipulation variety (shrinking, growing, and right-sizing). 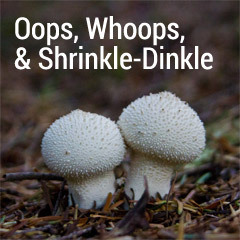 Oops and Whoops had a mischievous streak and liked to play practical jokes on Shrinkle-Dinkle. One time they laced his breakfast with dragon peppers. Besides the massive heart burn, he belched fire for three weeks. Another time they used his very own Gro-Po™ on him. They balanced a bucket of it over the outside door. As Shrinkle-Dinkle walked out the bucket dumped on him. He grew to the size of a human and had to sleep in the forest for three days, dodging foragers from the nearby human village, until he could finish a right-sizing potion and fit inside the house again. These pranks usually made Shrinkle-Dinkle very, very angry. He’d be so angry he would try to get back at Oops and Whoops shrinking their heads with his wand or making their feet extra-large with some spare Gro-Po™. But when Oops saw Whoops and Whoops saw Oops they would think the other one looked so funny that they’d just start laughing and they’d laugh so hard they fell to the ground. And when someone laughs like that and looks as silly as Oops and Whoops did with shrunken heads or giant feet, it’s hard not to laugh along. Inevitably, Shrinkle-Dinkle would start with a smile. Then the smile would turn into a giggle, and the giggle into a chortle, and the chortle into a full-blown laugh. Soon he’d be rolling on the ground laughing with them. By the time they finished laughing they’d all be friends again and Shrinkle-Dinkle would use his wand or a potion to return their heads or feet to normal size. One day Oops and Whoops decided to play another trick on Shrinkle-Dinkle. They went into his potion supplies and replaced his Shrinkum Root with Stinkum Root. In most potions this simply would have made the person who took the potion smell bad instead of get smaller, but Shrinkle-Dinkle planned to make Gro-Po™ that day. That recipe called for stirring the Stinkum Root in with Dragon Breath and Flint-Spark, making a rather volatile combination. In short, the latest batch of Gro-Po™ exploded in Shrinkle-Dinkle’s face with one of the foulest odors he’d ever smelled. After his eyes got over the flash and his nose got over the smell, Shrinkle-Dinkle heard Oops and Whoops laughing from the other room. His blood began to boil. Not only had they embarrassed him, but they’d wasted a lot of expensive ingredients and damaged his cauldron. He decided to teach Oops and Whoops a lesson. So he burst into the other room and shot a spell from his wand at each of them, but whether it was the speed at which he moved or the anger that fueled his rage or just poor aim, he missed their brains and shrunk their hearts two sizes instead. Tell the author how he did and how he could do better. Be Honest. Be Specific. Be Constructive. About the Researcher: By day John designs and builds websites and mobile apps, by night he spins sci-fi stories on this blog. He has a wife, five kids, five cats, four dogs, and a small army of fish. If he remembers to wear pants, it’s been a good day. Synopsis: Oops and Whoops love to play practical jokes on Shrinkle- Dinkle. Today he teaches them a lesson. We take your Inbox seriously and will honor your sacred trust. At StoryLab we're interested in how stories work, what makes them tick, purr, dissolve, and explode. We're delving deep into both what stories are and how we interact with them. 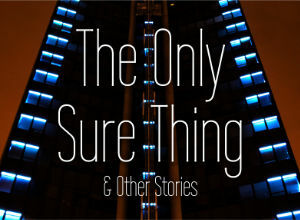 We're always experimenting, failing, trying new things, staggering back to get our bearings, and pushing forward again.